In 1979, a company by the name of Zircon bought all the rights to the Channel F. What they had planned to do with them was not clear until when they released Fairchild's scaled-down model as the $99 Channel F System II. Zircon also licensed it overseas, where it appeared as the Saba Video Play in Germany, the Luxor Video Entertainment System in Sweden, and the Grandstand in Great Britain. The System II model played sounds through the TV set, rather than generating them through an internal speaker (that's right: sounds in the System I model came from the unit itself). 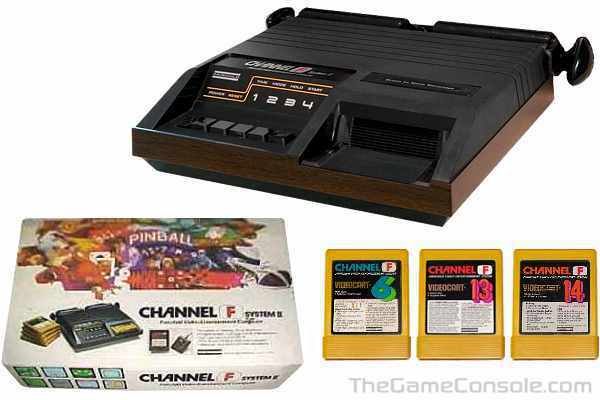 Channel F System II also had removable controllers. 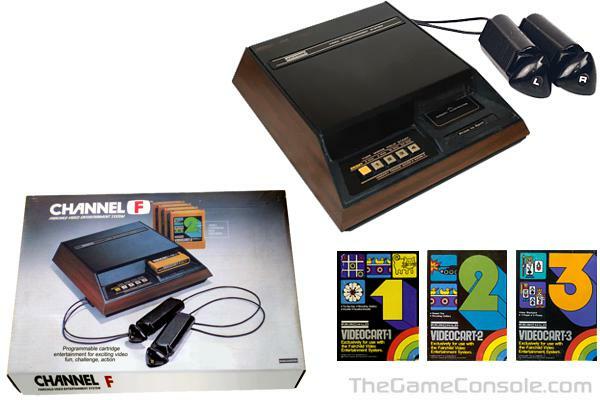 By 1978, Fairchild had released 23 games the Channel F, with Zircon chipping in four new titles a couple years later. The games run from single to multi game cartridges, and various options for the games are selected by the 4 main buttons on the front of the console. Probably the weirdest feature of the machine is that the games are started by first turning on the console, then inserting the cartridge, and hitting the reset button.